VietNamNet Bridge – Viet Nam plans to develop a low-carbon economy and include climate-change resistance work in its updated Nationally Determined Contribution (NDC) for the Paris climate accords. Viet Nam plans to develop a low-carbon economy and include climate-change resistance work in its updated Nationally Determined Contribution (NDC) for the Paris climate accords. The information was released by Pham Van Tan deputy head of the Meteorology, Hydrology and Climate Change Department under the Ministry of Natural Resources and Environment at a workshop held yesterday in Ha Noi. The workshop was organised by the environment ministry and the German International Co-operation Agency to consult experts and policymakers before updating the NDC. The move was taken under the requirements of the 2015 Paris Climate Conference, Tan said. Each party that ratified the Paris agreement was asked to submit an updated NDC every five years, defining their efforts to contribute to holding the increase in the global average temperature to well below 2°C, pursuing efforts to limit the increase to 1.5°C and achieving net zero emissions by the second half of this century, he said. Speaking at the workshop, Professor Tran Thuc, a member of the Viet Nam’s Panel on Climate Change said the update was to be made after environmental changes in the international and domestic context. In the world, the latest change was China shutting all coal-fire power plants in Beijing and canceling the construction of about 100 coal plants that were planned or under construction earlier this year, he said. Additionally, developing renewable energy such as wind and solar was becoming a global trend, with the prices of wind and solar energy predicted to sharply fall by 2020, he said. In Viet Nam, per the national electricity roadmap to 2020, amended last March, the ratio of renewable energy is hoped to account for 6.5 per cent of total national electricity output, he said. 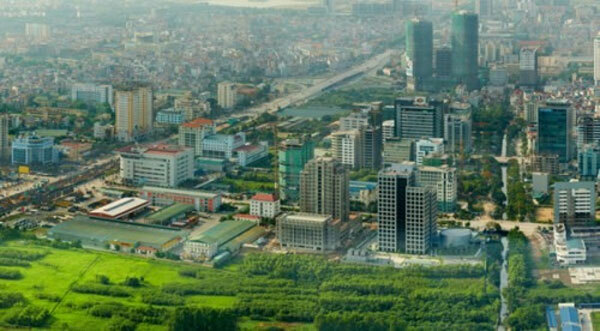 Further, in late 2016, the National Assembly cancelled a project to build the Ninh Thuan nuclear power plant, he said. "Renewable energy is expected to be one of major energy sources to replace nuclear power," he added. Tan said after yesterday’s workshop, an inter-sectoral team, including officers from ministries and agencies, would be set up in July to compile detailed updates for the NDC. The team will collect information for the update in September. After Viet Nam participated in the 23rd session of the Conference of the Parties (COP 23) in November, more information should be added to the updated version, he said. The first draft of the updated NDC is expected to be finished in March 2018. The near-final draft will be submitted to the Government’s consultation agencies in June 2019. After receiving comments from agencies, the final draft will be finished and sent to the Government in August 2019. The official updated version of NDC will be sent to the United Nations Framework Convention on Climate Change (UNFCCC) in September 2019. Martin Hoppe, First Counsellor of German Embassy in Viet Nam said the updated NDC would contribute to providing information for the dialogue in 2018 and global inventory under the UNFCCC in 2023. As deputy minister of environment Vo Tuan Nhan highlighted in his speech the need for support to provide information and to conduct research for the updated NDC, "Germany is happy to contribute" through ongoing projects in various areas funded by its government, Martin added. According to Nhan, the NDC is a national effort and requires careful consideration by all major contributors and transparency in implementation. Stakeholders should understand what their contributions are, what to prepare to and their responsibilities after the NDC is approved, he said. Nhan also called for close co-operation and support from all ministries, agencies, development partners and other related stakeholders to this important process of reviewing and updating NDC.